Evie Sammon (25) has been selected by Fine Gael members in Naas as one their candidates for the forthcoming local elections in the Naas district. The Selection Convention was held recently in Lawlor’s Hotel. Speaking at the selection convention Evie said: “Cllr Billy Hillis has represented the people of Ballymore Eustace and Naas very well over the last two decades and as someone who is new, young and eager I hope to have the opportunity to continue this into the future. “I have a deep understanding of the workings of Irish politics; I know my way around both local and national politics, I know the key players involved and I know what it takes to get things done. I have the experience, knowledge, understanding, and skill to deliver for Naas. “Youth involvement in Irish politics has moved our country forward. We now are leading the social changes that are making Ireland into a modern, representative, and reflective 21st Century country. I want this to continue. I am committed to being part of this and to ensuring Fine Gael is well represented in this regard." 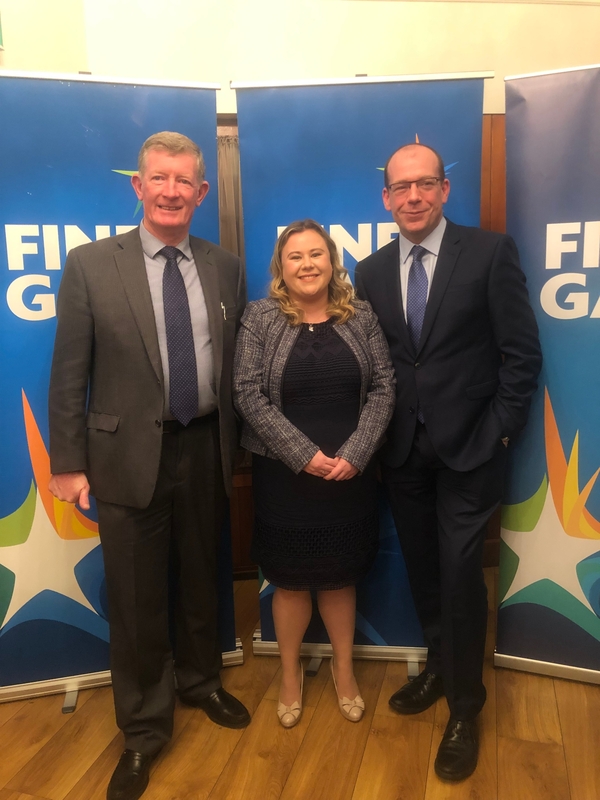 Following her selection as a Fine Gael candidate to contest the local elections next May, Evie stated: “I am honoured that Fine Gael members have chosen me to represent the party in the forthcoming local elections. I am passionate about advocating for every person in the Naas Municipal District, and working to deliver the investment and infrastructure our locality needs. “Having been born and raised in Ballymore Eustace, and having gone to school in both Ballymore Eustace and Naas, I am committed to ensuring our communities are strengthened into the future, and that they receive the representation on Kildare County Council that they both require and deserve. “I look forward to engaging with voters on the doorsteps in the weeks and months ahead, to hearing their concerns, outlining my campaign priorities, listening to their views, and working to assist them in each way possible. Evie is joined on the ticket by sitting Councillors Fintan Brett and Darren Scully.